For sheer natural beauty in Victoria, it is impossible to beat the Grampians. This stunning national park is famed throughout Australia and the rest of the world for its rugged scenery, with dramatic sandstone mountains, deserts and volcanic plains providing a spectacular backdrop to your visit. 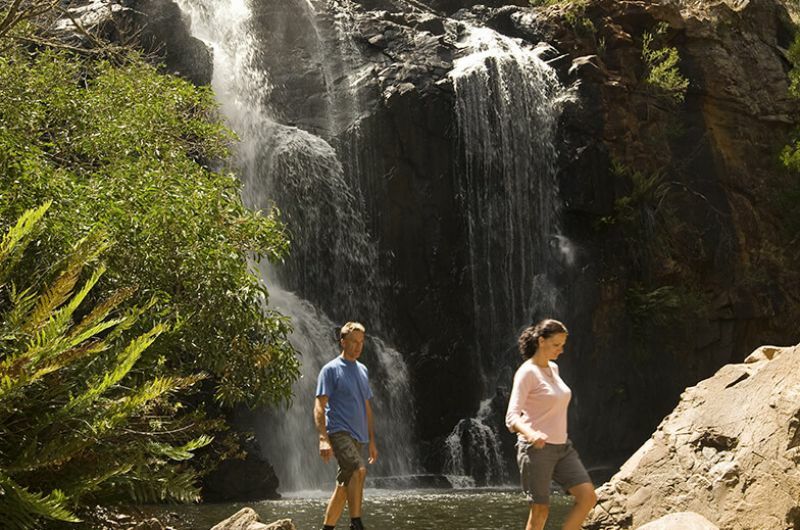 At Melbourne Private Tours, we believe a trip to the Grampians is best enjoyed in comfort and luxury. This is why our Grampians tours take place in top-of-the-range, air-conditioned vehicles, and the itineraries can be tailored to suit your needs and interests. 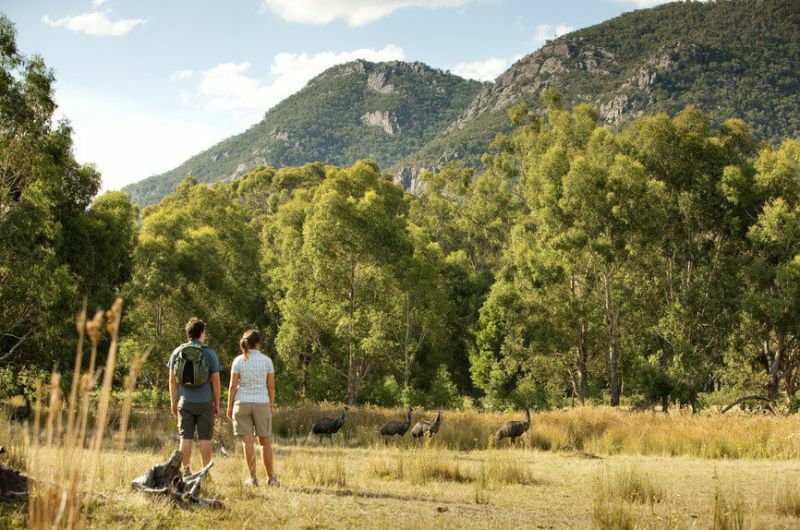 We welcome all travellers, whether individuals, families or larger groups, to join us in the Grampians. You are invited to benefit from our knowledgeable tour guides, so you can learn more about this region and immerse yourself in its beauty and culture. 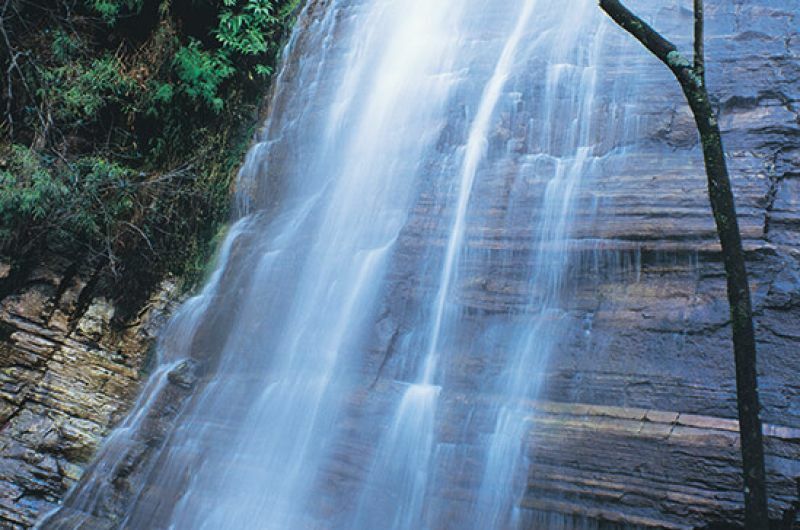 Within the breathtaking landscape of the Grampians you will find numerous places to visit. Your expert MPT guide will be able to recommend various hikes and lookouts based on your preferred levels of walking. 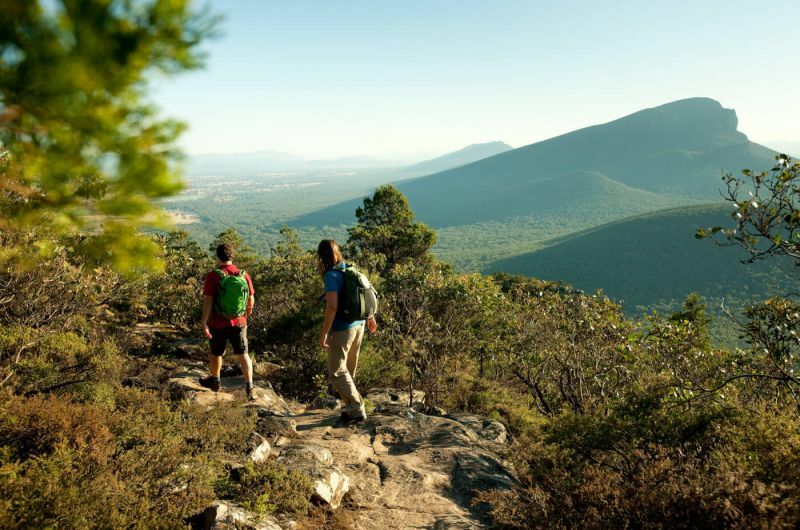 To gain the full scope of the national park and the diversity it contains, it is essential to visit Mount William, the highest point in the entire park, which offers panoramic views and spectacular sunsets, while Boroku Lookout provides a perfect vantage point for taking in the beauty of Halls Gap. The unusual rock formations of the Balconies are another popular highlight of the area, along with the iconic MacKenzie Falls. This is one of the largest waterfalls in Victoria, and there are viewing platforms set up at various points so you can see this natural wonder in all its glory. The rugged scenery here provides excellent hiking terrain, and exploring on foot is an ideal way to to get to grips with the ecology, flora and fauna of this stunning part of the world. However, the amount of activity you want to do is entirely up to you – we are happy to tailor your experience for your maximum enjoyment. There is so much environmental beauty in this region that it could easily keep you enthralled for months, with something new appearing around every corner. 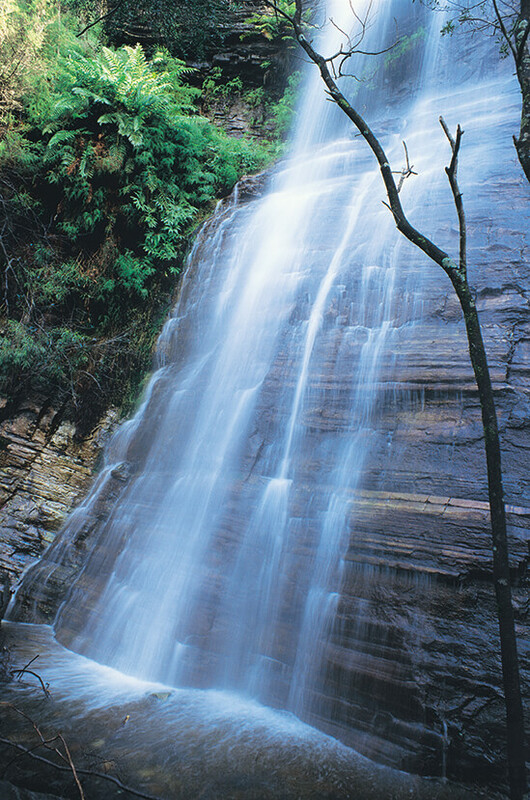 However, the Grampians National Park is also famous for a number of historical and cultural attractions. Its Aboriginal history is detailed in one of the largest collections of ancient rock art in southern Australia, with a wide variety of Indigenous cave paintings spread throughout different areas of the park. The Brambuk cultural centre at Halls Gap explains the region’s Aboriginal history and culture in detail, providing a highly informative and fascinating stop on any trip to the Grampians. 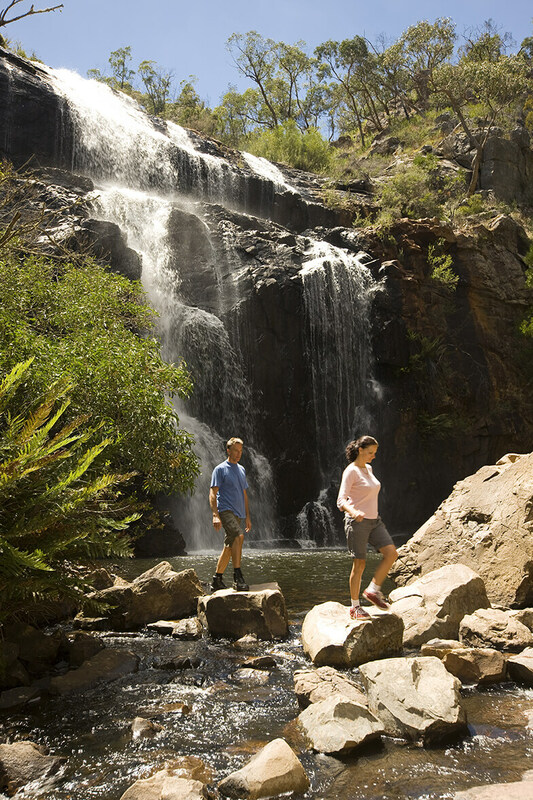 While you are in the region, you can also take in the local townships of Ararat, Halls Gap and Dunkeld, which offer a valuable insight into day-to-day life in this beautiful part of Australia, enabling you to enjoy a realistic Grampians experience through the eyes of the local people, instead of simply sticking to the tourist trail. 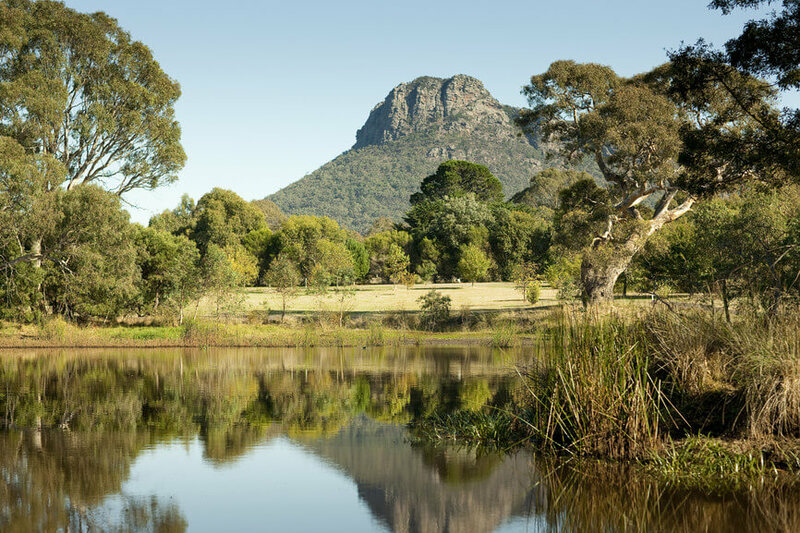 The Grampians region is also famous for producing some of Australia’s best-loved wines, and the many vineyards in the area are beautiful places to visit such as Mt Langhi Ghiran. Our Grampians tours give you plenty of opportunities to sample the excellent local food and wine, rounding off a truly spectacular experience which you will treasure in your memory for many years to come. Being such a vast area with so many options for exploring, we recommend the Grampians region be experienced on a two-day adventure, if not longer. Fantastic accommodation options are available, such as the Royal Mail Hotel in the township of Dunkeld, located at the southern base of the Grampians. The Royal Mail Hotel is renowned for its boutique accommodation and its exquisite cuisine. Wickens restaurant serves a degustation menu featuring locally sourced produce with outstanding wines matched to each course. If you would like to find out more about our Grampians tours, or want to book a trip to this stunning part of Australia, please contact us. We will be happy to discuss all your needs and preferences, and tailor an itinerary especially for you, so you can get the most out of the trip. Booking is a straightforward and secure process, and we offer the very highest standards of customer care at every stage. A trip to the Grampians with Melbourne Private Tours is a truly exclusive experience filled with comfort and luxury, and it is the ideal way to see one of Australia’s most beautiful regions. Don’t delay, start your Grampians adventure today.